Are your window well covers sage? Window Well Experts » Blog » Are your window well covers safe? WindowWellExperts.com manufactures our clear plastic window well covers from an unbreakable type of plastic known as polycarbonate, sometimes referred to as Lexan™. We UV treat our plastic so that it does not age prematurely. They will not turn yellow, crack or fail completely no matter what happens to them. Rain, snow and ice will stay out of your window wells. People, pets, and other animals are also protected, as our window well covers support up to 400 lbs. 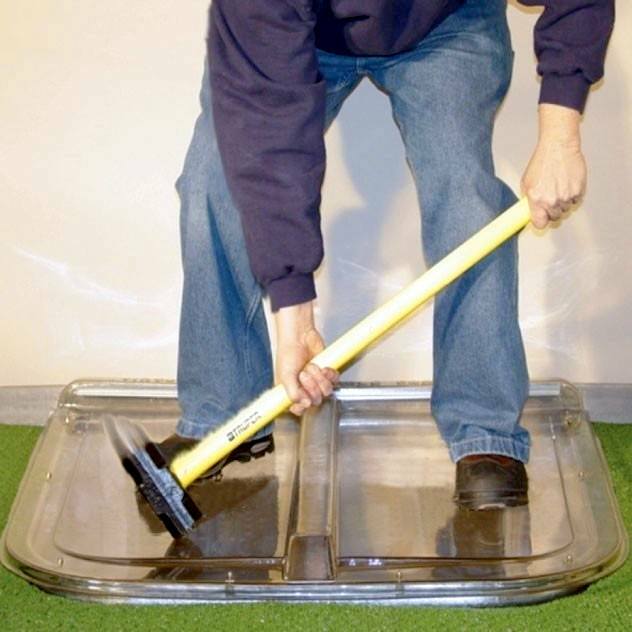 Sloped covers have a 2” slope from front to back and side to side to shed water away from the foundation of your home. Flat fabricated covers are a good choice where water drainage is not a concern. Aluminum grates are also engineered to bear 400 pounds and are the preferred cover in a situation where there will be foot traffic. Our window well covers are made to meet egress codes in the USA and Canada. Give us a call today to learn more: 1-888-650-9355.